I'm sharing this tip now so if you like, you will have time to make a little hot house for your tomato plant. It can help to produce tomatoes a month early. Last spring, on 4-18-18, I purchased a large tomato plant that actually had a little tomato on it and some blooms. I planted it the same day in a large container beside the deck. It is on the east side of the house, gets full sun in the morning and is protected from the north. I made a little hot house for the tomato plant. The temperatures were still cool, in the 60s during the day and dropping down into the 30s and 40s at night. This was not tomato growing weather and I didn't know if the tomato vine would do well or not. It did great. 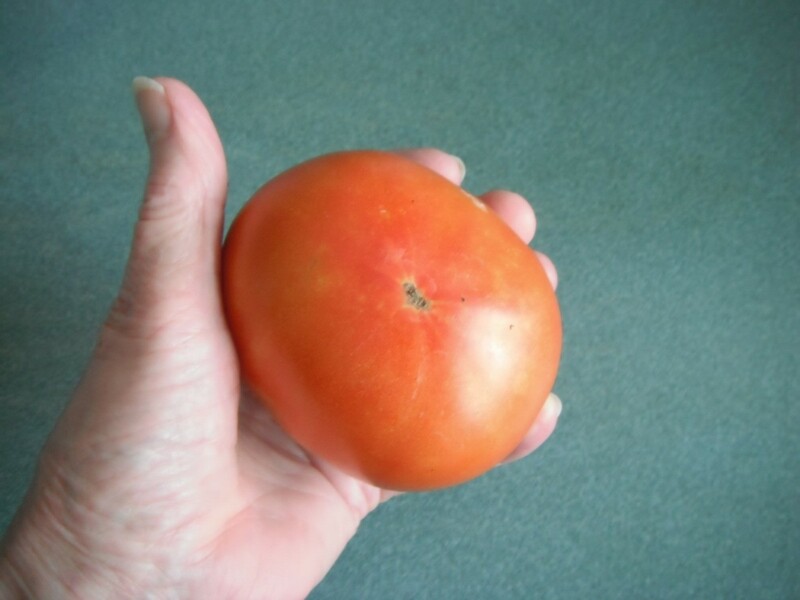 We picked our first tomato on June 3. It made 2 lip smacking good tomato sandwiches. By June 18 we had enjoyed 3 ripe tomatoes from this vine. By June 22, we had 6 more that would be ripe within a few days. 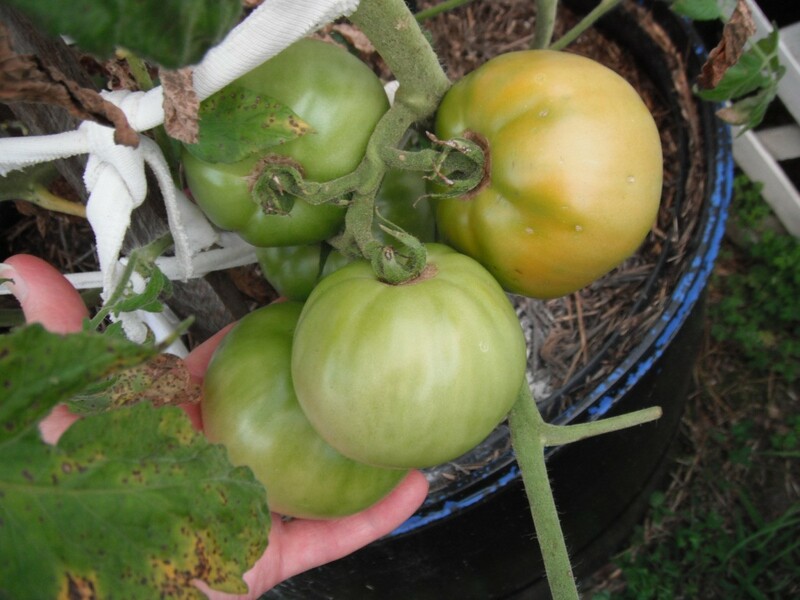 The vine produced tomatoes all summer and we had fried green tomatoes in the fall. We don't typically get tomatoes out of the garden until the middle of July. These early tomatoes were a real treat. 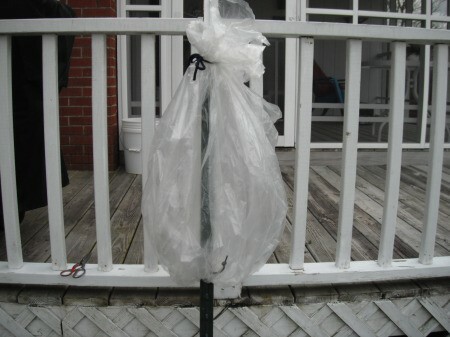 Place a metal fence post in a large container filled with dirt and potting soil. 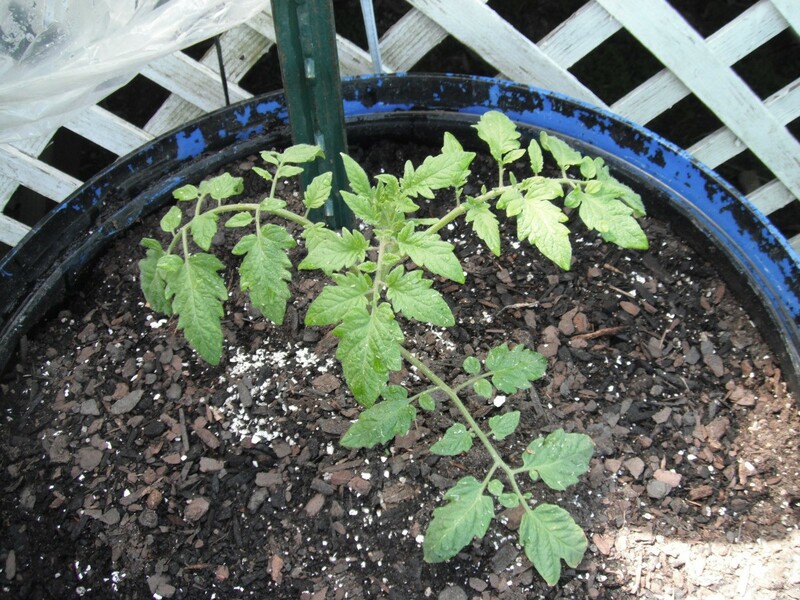 The notches on the post will help in staking the tomato plant. Punch a hole in the middle of the bottom seam of the bag so it will fit over the pole. Pull the bag down on the pole. 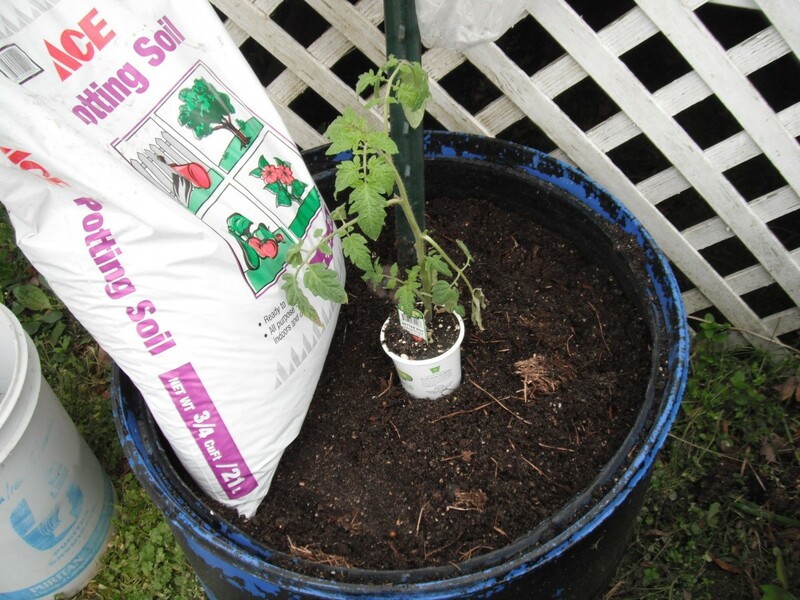 Check the length of the bag to make sure it is long enough to lap over the top of the container several inches and tall enough that it will not touch the small plant. Tie the top of the bag to one of the notches on the pole. This will keep it from falling down. 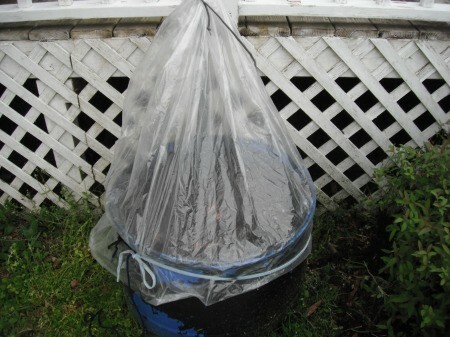 Pull the bag down over the top of the container to make the tent. 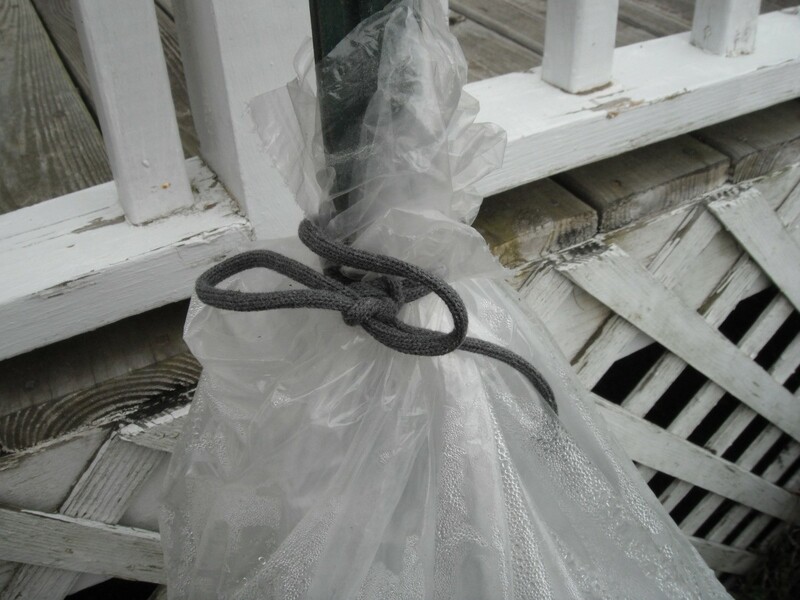 Wrap a cord around the top of container over the plastic and pull it tight using a slip knot so it can be loosened and raised when the weather is warm. It will be easy to lift the tent up and down as needed. When up, you will need to tie it to the pole. I'm trying it again this year except, today, being April 8, I'm planting earlier. This is a smaller tomato plant than the one I planted last year. I removed the old top layer of soil and added new potting soil. 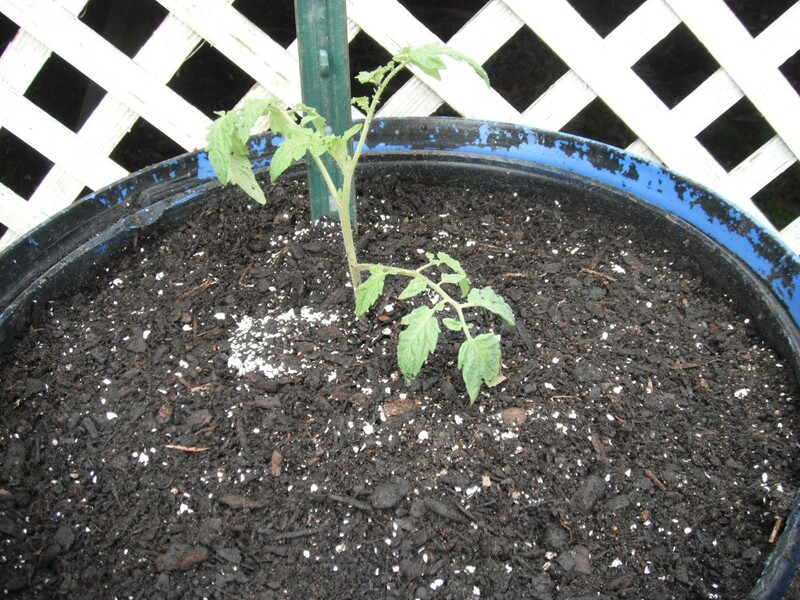 I added crushed egg shells to the soil and also put some in the hole with the plant. 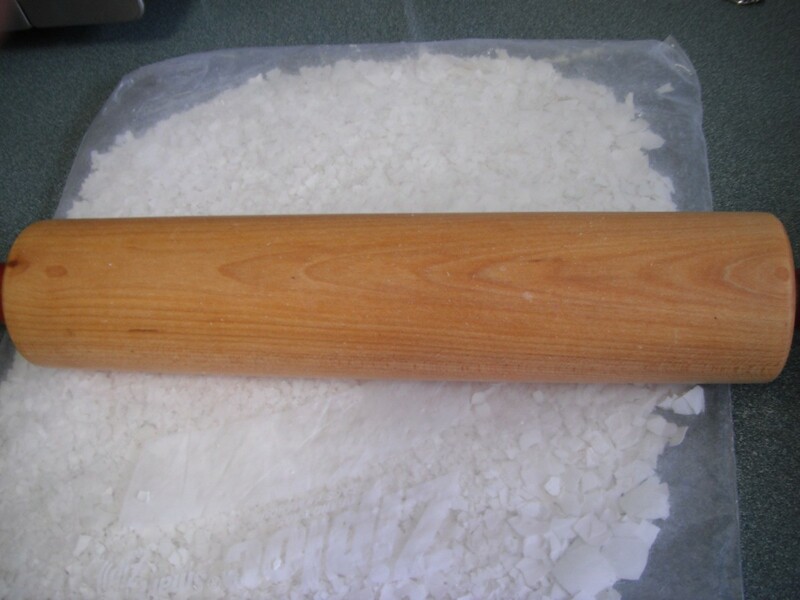 Egg shells are easy to crush by placing them in a zip lock freezer bag and rolling with a rolling pin. 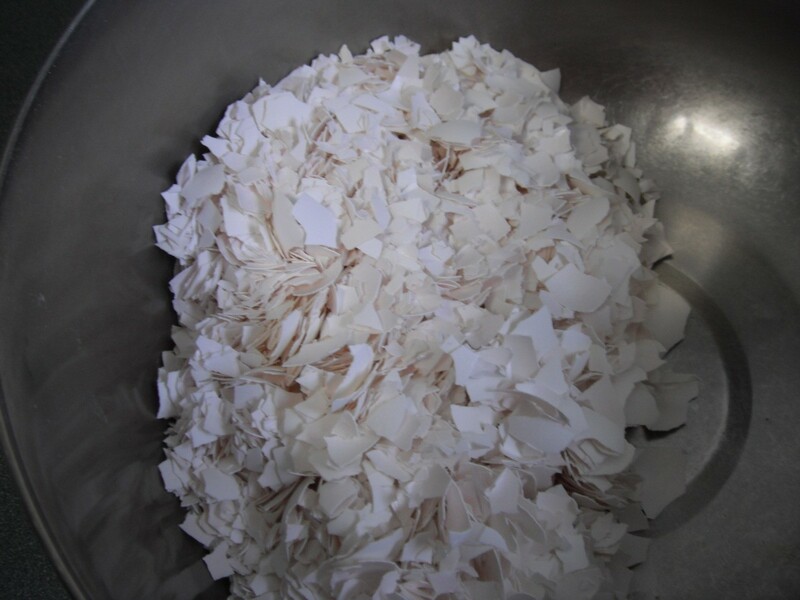 The egg shells add calcium and will prevent blossom rot. We did not lose any tomatoes with blossom rot on the plant last year. I save all my egg shells for planting tomatoes and green peppers. I planted the tomato plant. I want to be eating tomatoes from this vine in June like last year. This picture was taken on June 22, 2018. 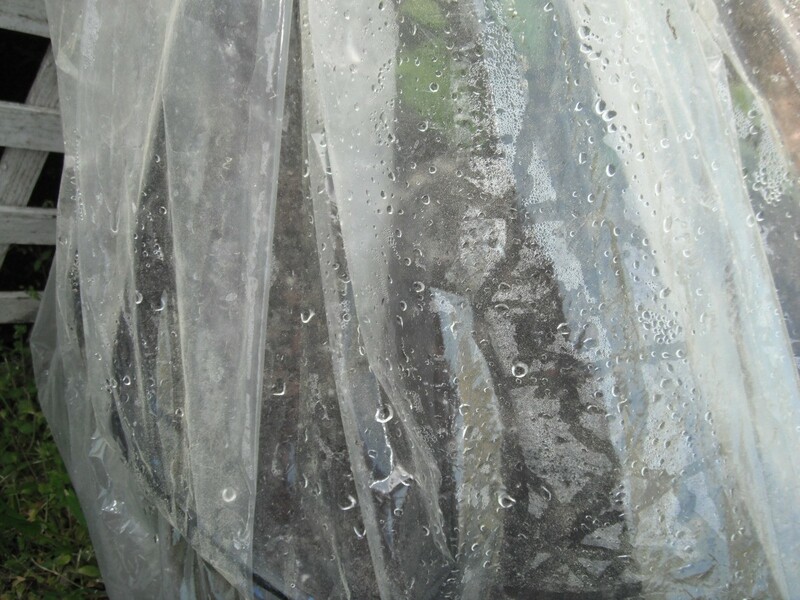 In just 3 days, this plant has grown enough that I had to move the tent up a notch.The plastic holds the moisture in and keeps the inside warm and humid. I should be able to remove the plastic completely by the first of May. good idea except potting soil is for house plants. You might want to add some peat humus. You are right about that. Thank you. It's not all potting soil. Actually, I have some dirt, out of our garden, and also some very old cow manure in the barrel as well as the potting soil. I should have listed that also. I can't say how well this plant will do for us this year but it is growing like a weed and looks really healthy. 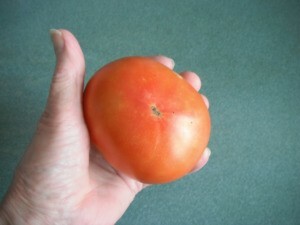 The picture of the red tomato in my hand was the 1st tomato we got off our vine last year.